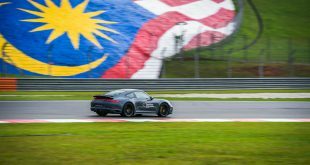 The new Porsche 911 Carrera and Carrera S Cabriolet now available at all Porsche Centres in Malaysia by Sime Darby Auto Performance. 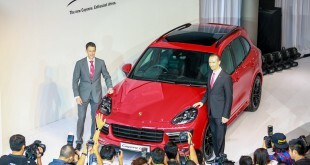 Both Cabriolets has the same engine as its Carrera Coupe equivalent. The rear of the 911 Carrera Cabrio houses a 3.4-litre flat engine generating 350hp (257kW) of power, whereas the open-top Carrera S comes with a 3.8-litre six-cylinder engine developing 400hp (294kW). That means that the open-top 911s as well are distancing themselves even further from the competition in terms of efficiency; The Cabriolets all has the Porsche PDK transmission featured as standard, delivering even lower fuel consumption and shorter acceleration times. 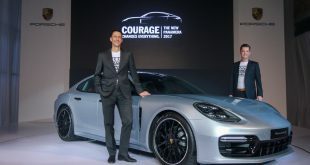 Base car prices start from RM900,000 for the 911 Carrera Cabriolet and RM1,000,000 for the 911 Carrera S Cabriolet exclude registration fee, road tax and insurance in Malaysia. Prices include a 4-year factory warranty and 4-year complimentary service and maintenance package. Previous Honda Ayutthaya Plant In Thailand Is Back!